North Second Street Corridor. 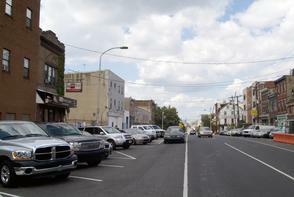 View of street and businesses on N 2nd Street, north of Brown St. 2nd Street Pizza in foreground and Standard Tap visible in distance. Cars and trucks parked in street.